NorskeAutomater Casino will then reward you with a bonus (Welcome Bonus is for new players only). The terms and conditions of the bonuses vary between different casinos and might also change over time and between different countries, so it is important to compare the different offers and read the T&C for NorskeAutomater Casino before signing up. We don’t want to waste your time so this will be short and sweet. Before you today is a marvelous and professional online gambling destination licensed by three regulatory bodies – the UK Gambling Commission, Malta Gaming Authority and Curacao. Owned by L&L Europe Ltd Casinos, the site is available in Norwegian and Swedish. While a fantastic choice for Norwegian and Swedish players, NorskeAutomater Casino will not be within reach if you are playing from any other countries other than the two or Serbia. Simply, some online casinos have target audiences and that’s how things work. Those who can revel in the wealth and opulence of this splendid online gambling venue can enjoy a plethora of games, quality service, friendly environment and an abundance of promo deals, bonuses and winnings. This completely instant-play online casino has a mesmerizing and well-rounded portfolio of all sorts of games that include slots, progressive jackpots, table games, specialty games and a luxurious Live Casino. Launched in 2012, the venue has fathomed a number of eminent online software providers among which are NetEnt and Evolution Gaming. The venue hosts both classic and video slots that swarm with themes, styles and genres to meet everyone’s needs and expectations. Action-packed games, fluffy romance titles, criminal and gangster slots and fast-paces progressives are all there for you! ‘Bordspill’ is home to table games offered at Norske Automater. The collection shines with quality, top notch titles that every seasoned casino player will know and appreciate. Here you can enjoy the likes of Baccarat, Blackjack, Poker and Roulette, as well as a great number of their variants such as Baccarat Pro, Texas Hold’em, Oasis Poker, French Roulette, European Roulette, Red Dog and Punto Banco. Under ‘Andre Spel’ you will find a mass of casual and specialty games that include Bingo, Lotto, Keno, a line-up of scratch card games and more. Among others, you can revel in Big Break, Hexaline, Electro Bingo, Crown and Anchor and Germinator. In addition, video pokers hold a special spot and a designated area at Norske Automater. If you are a fan of the game, you will love the selection – Aces & Eights, Aces & Faces, All Aces, All American, Bonus Poker, Deuces Wild are all on board, plus about a dozen more! Norwegians and Swedes are big fans of live gambling, and it comes naturally that an online casino that aims to please Nordic clients boasts a magnificent Live Casino lounge. The live lobby showcases a litany of live dealer games coming from the one and only Evolution Gaming! The bag of goodies holds Live Baccarat, Live Blackjack, Live Dream Catcher, Live Poker and Live Roulette as its base offering, but that’s far from all! In the selection, you will find dozens of variants and seasonal games that put a modern twist to ever-green titles. Therefore, you can enjoy Live Norsk Roulette, Live Baccarat Squeeze, Live Blackjack Silver, Live Lightning Roulette and a bunch of VIP live games. Games are dealt around the clock by a real dealer in real time, and all the well-known rules are applied at NorskeAutomater Casino as well. 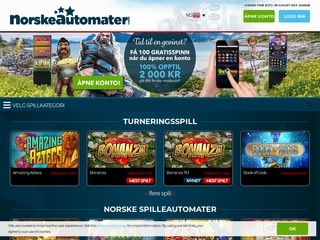 With its simplified banking and Norske Affiliates as its affiliate programme, NorskeAutomater Casino does a fantastic job making your online gambling experience a breeze banking-wise. Allowing you to fully focus on your playing, Norske Automater accepts a wide range of payment methods that include ewallets, credit and debit cards and bank wire transfers. The tender does accept Norwegian kroner only, as you might have expected, and the processing and pending times are according to the industry’s standards. Ewallet-wise, you can go for Neteller, Skrill, Paysafe Card, Zimpler and Ukash, as well as e-Pro and tsi Payment. As far as the cards go, you can utilize all Visas, MasterCard and Maestro. Request-processing times vary depending on the means you have opted for, but typically you can expect your request made using an ewallet to be processed within up to 24 hours. Cards and bank transfers take around 3 working days. The additional pending time totals 24 hours. Every single day, you can withdraw 50,000 NOK. 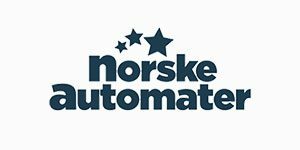 Wrapping its offering and easy-to-use website, Norske Automater is making itself accessible through its customer service team as well, and via a variety of communication methods. The most widespread means of communication must be the Live Chat facility that caters for instantaneous assistance. While as helpful and efficient as can be, it is however not available after 01:00. Another way to reach out is to send them an email anytime at [email protected] You can also fill out the on-site contact form under ‘Kundeservice’. If you prefer to chat, you can give the responsive team a ring to their toll-free phone number 800 24 664. Alternatively, you can consult the comprehensive FAQ section for answers to questions that have been asked multiple times before.